When you hear a company say, “We’re passionate” about something, it’s usually along the lines of, “We’re passionate about net usage systems” or, “We’re passionate about your mortgage application”. But they’re not, are they? No one can be ‘passionate’ about APR. Well we can because we grant wishes! We’re a bunch of very busy people with a serious and puzzling addiction to the field of wish granting. You would not believe some of the insane and last-minute miracles we’ve worked for our clients and not only do we pull it off, we’re awesome at it! Thing is, we’ve gotten so good at granting wishes for people who have a film to promote, we’re thinking about what we can do to help people that don’t. For the past year or so, the DMS Social Committee has been working with a North London based charity called Rays of Sunshine. Rays really are passionate people. 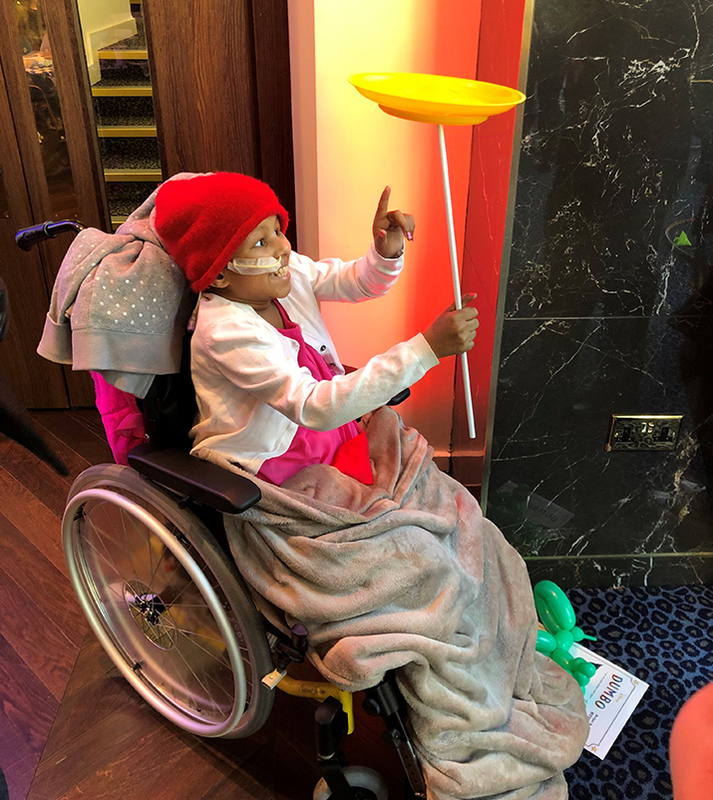 They work with children who are seriously ill and their families to grant them wishes and give them experiences they wouldn’t usually have as a way of adding some positivity and fun into their very difficult lives. They arrange opportunities for children to meet their heroes, such as celebrities or (fictitious) characters; they’ve whisked children away on special trips and adventures; they even arranged for one child to meet a real-life mermaid (and that is a real thing so jog on haters!) Sound like a lovely thing? That’s because they’re lovely people! I thought the staff at DMS were fun and joyful (mostly) but this lot have given us a run for our money and every person I’ve spoken to from Rays, be they a member of staff or a volunteer, are completely in it to benefit the children. To grant wishes. And they’ve been doing it with such great success that children they have helped over the years often come back as teenagers and adults to lend a hand in various ways. One of the best examples of this is their #KissesForWishes campaign that they run every Valentine’s day. It’s a simple idea, concocted in the mind of Caitlin, one of their former Wish Children and now a Wish Ambassador. The basic idea is this; on Valentine’s day, to spread the word about Rays Of Sunshine, people are encouraged to take a selfie with their very best trout pout and add the hashtag, #KissesForWishes. There is a number you can text to donate, and it really is a great way to spread some love on February 14th. The DMS Social Committee jumped straight on this and for the past two Valentine’s Days, have run a bake sale (because anyone at DMS will tell you that we are very ‘passionate’ about cake), the proceeds of which are matched and donated by DMS. We’re always having bake sales at DMS and any time one of us feels our blood sugar dropping to a safe level we immediately mobilise our eager baking enthusiasts. However, we felt we had more to offer Rays of Sunshine than just dough-nations (I thank you). Being fortunate enough as a company to work every day with the biggest and most prolific film studios on planet Earth, we decided to get in touch with one of the clients we’ve been granting wishes for in the hope that they would be willing to help us grant some wishes for these children. Disney is already a big believer in this very idea and they even have a dedicated team for granting wishes for very ill children and guess what? They’re cut from exactly the same cloth as the folks at Rays. Honestly, if I didn’t know they were employed by this company, I could’ve sworn they were a character from one of their films… Introducing them to the Rays team was like saying, “Hi, Mickey? Meet Kermit.” Wonderful stuff. 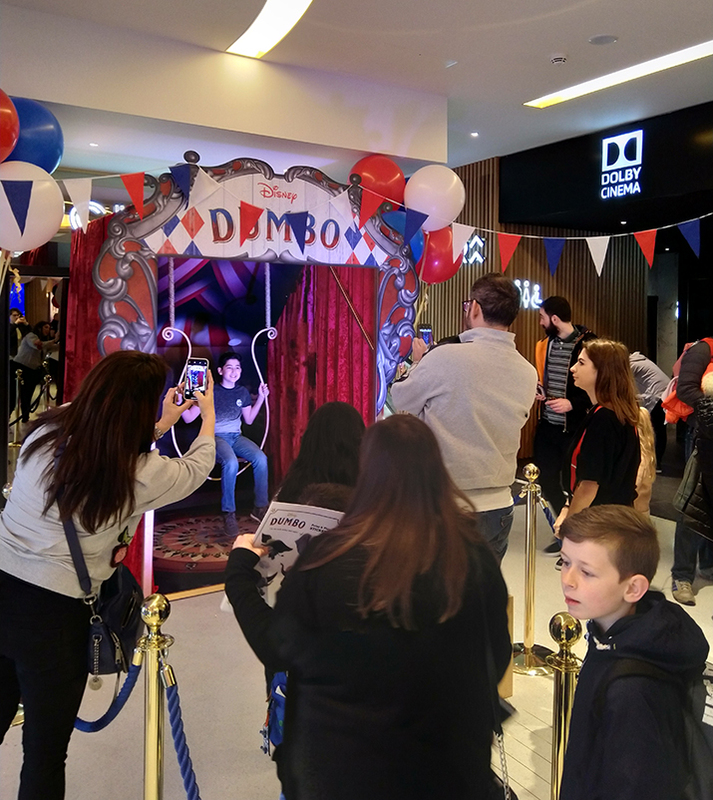 The result of this conversation was that five Wish Families were given access to an exclusive screening of the brand-new Tim Burton remake of Dumbo in the newly refurbished, totally swanky Odeon in Leicester Square. Now, you might say, “Is that it? They went to see a film?” but I would suggest you may have forgotten what it’s like to be eight. It wasn’t just a trip to the cinema. This was an advanced screening ahead of even the reviews embargo being lifted! The seats in this cinema were like barker loungers and there is literally nowhere you can sit in there that gives you a bad view. 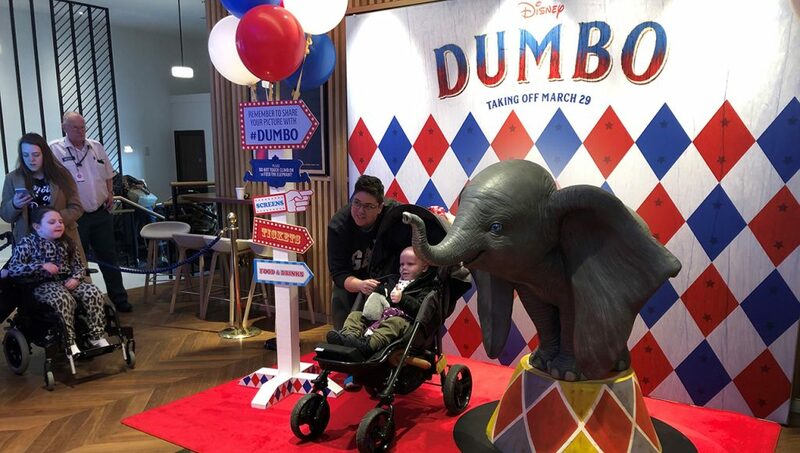 As the families arrived in the foyer, they were greeted by circus-themed installations where they could have their picture taken with Dumbo himself, get their face painted and learn from the trained circus performers, how to do the various tricks that were laid out all over the place. Kids stuff. 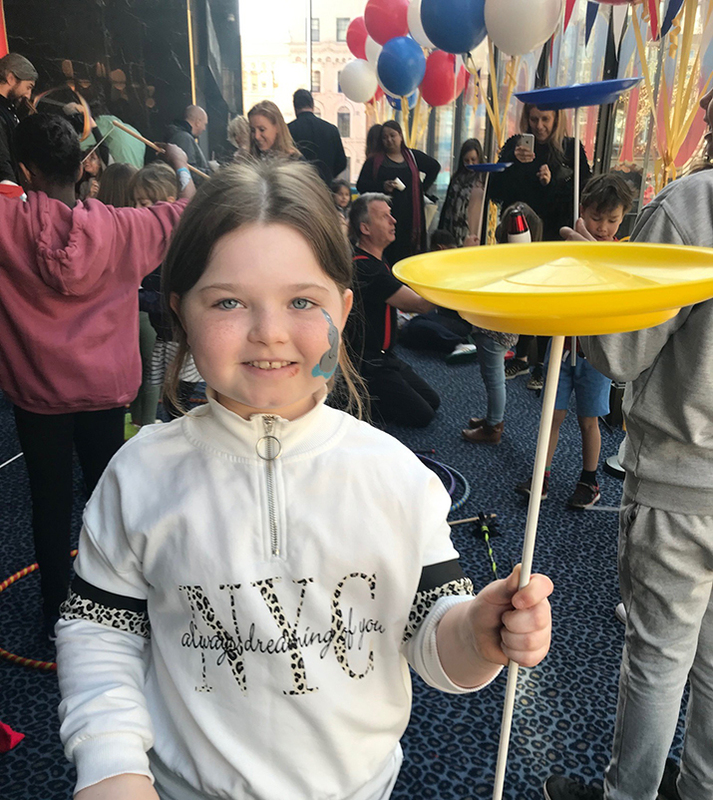 Some of the children were in awe of their surroundings; some were deep in concentration as they tried to master how to juggle or spin a plate; some were just laughing at the spectacle because it was pretty ridiculous to behold and there was no real point to any of it. But that was the point. Watching these brave young people playing around like any other kid reminds you that something good can be found in everything and some things really are worth being passionate about. Joe Blogs: Quotable movies – You talkin’ to me? Joe Blogs: ‘Holidays are coming’…How do Christmas ads do it?